Woods Harbour Lighthouse was constructed to mark the dangerous Big Ledge, which is covered at high tide, and to mark the southern entrance to Cockerwit Passage between the Mutton Islands and the community of Lower Woods Harbour. 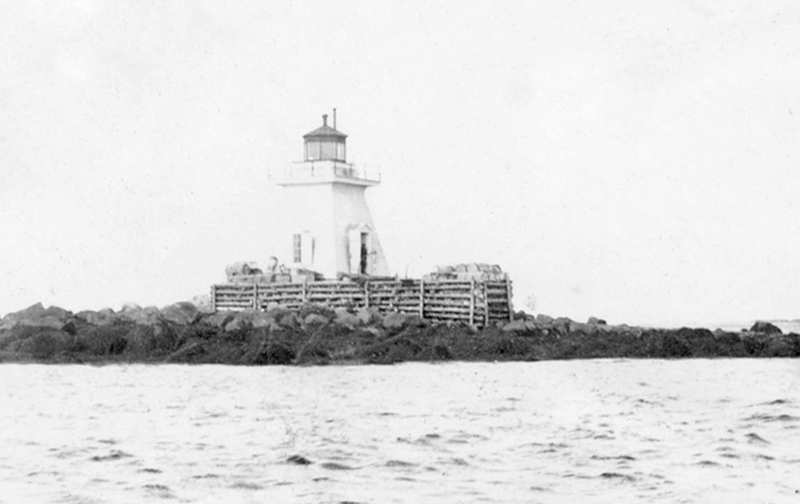 The original tower was a square wooden building with sloping sides topped by a red octagonal lantern and stood on a concrete pier atop Big Ledge. The first keeper of the light was James E. Goodwin, appointed on August 27, 1900, and the light was put in operation on September 1, 1900. Goodwin served until April 1930, during which time his annual salary increased from $200 to $966. The present light, a white square tower with a land, is 6.3 meters tall and shows a flash of one second followed by an eclipse of five seconds. 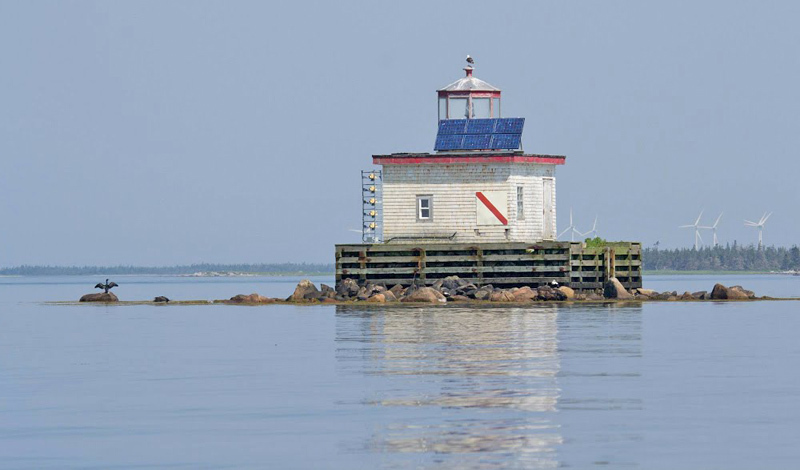 The lighthouse is easily visible from shore as it stands 800 meters from the wharf. 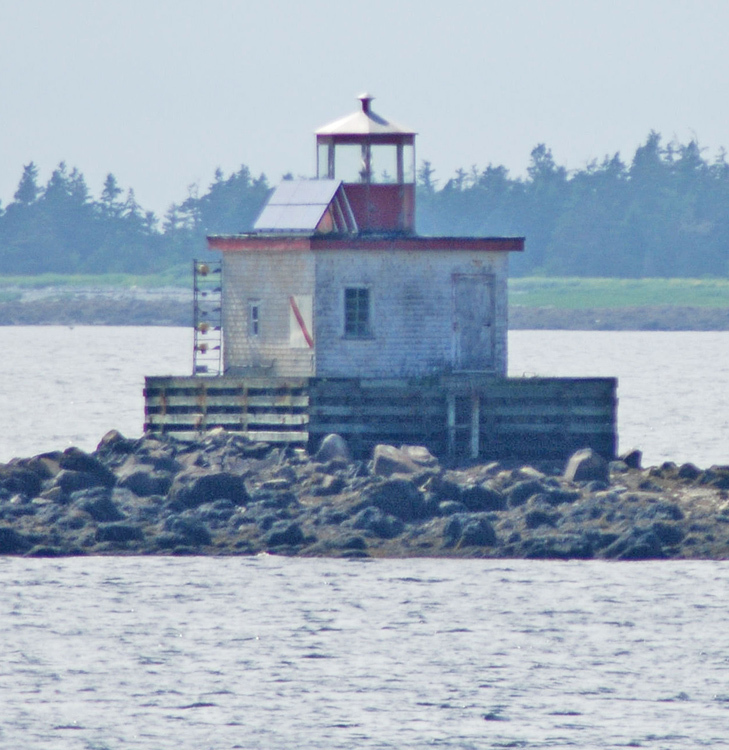 Located on Big Ledge, near the entrance to Woods Harbour. For a larger map of Woods Harbour Lighthouse, click the lighthouse in the above map. 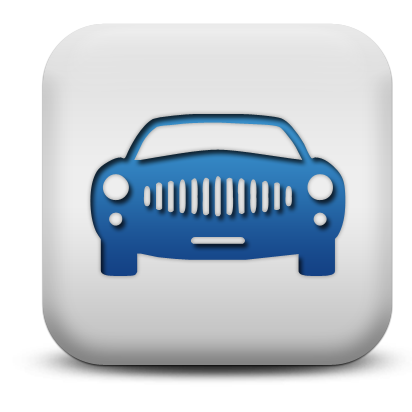 On Route 3 (Lighthouse Route) in Lower Wood Harbour, turn west onto New Wharf Road and continue to the wharf. The light is visible straight ahead, 800 meters offshore from the wharf. 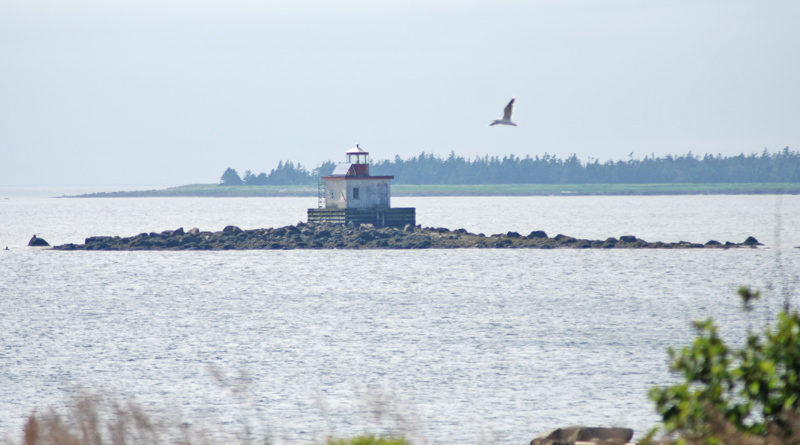 The lighthouse is owned by the Canadian Coast Guard. Grounds/tower closed.